The ‘La Cloche Spirit: The Equivalent Light’ is a photographic exhibition by Jon Butler exploring the equivalent light of dawn and how it evokes inspirational space and captures the timeless beauty of nature. It was part of the Toronto ‘CONTACT 2012’ international photo festival, it was exhibited in Sudbury at the Vale Living with Lakes Center and at the Gore Bay Museum and Gallery. 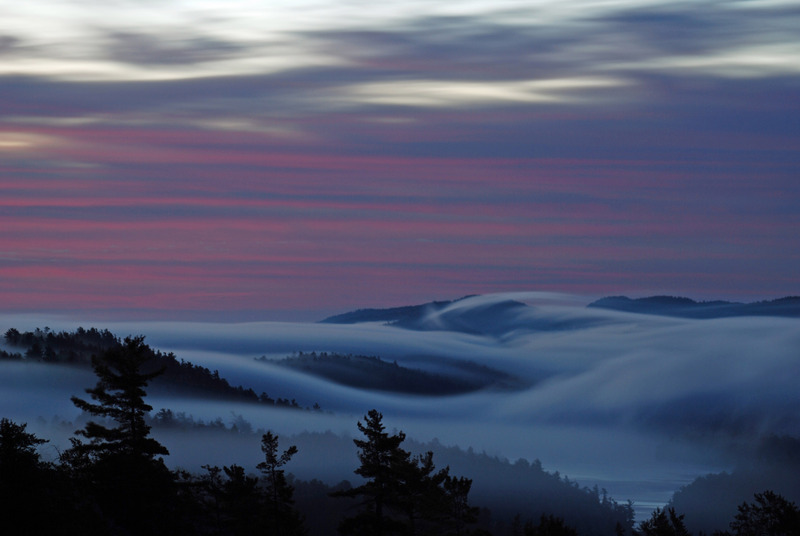 In 2013 the book ‘La Cloche Spirit: Contemplating Beginner’s Mind’ was published with photographs from the exhibit and original haiku poetry. The signed limited edition book is being sold as part of the ‘La Cloche Spirit’ package. ” This is a book about learning. Learning about photography and photographs that communicate with the viewer. Learning about life and the beauty that awaits us every, single day. La Cloche Sprit packages are available at Turners of Little Current on Manitoulin Island, The Art Gallery of Sudbury, Friends of Killarney Park Store in Killarney Park or from Jon at lacloche@gmail.com. Beautiful light and use of colour – sometimes these kind of dawns and sunsets from the warmest reds to the coolest blues and purples seem totally unreal but it really feels as though you’re portraying the real exceptional feel of La Cloche. Well done.